New optimism prevails in the UAE as the economy continues to rebuild after the 2008 downturn with the industrial sector making strong strides and the construction industry invigorated with a new wave of investments that will gather pace as the 2020 World Expo approaches. UAE Economy Minister Sultan bin Saeed Al Mansoori has estimated the economy will grow between 4.5 and 5 per cent in 2014 depending on oil prices, which is broadly in line with the International Monetary Fund prediction. Investments in ports, airports, other logistics facilities, manufacturing and free zones are paying off as exports rise and trade generates even more trade. Abu Dhabi, which accounts for 65 per cent of the $390 billion UAE economy, has allocated $90 billion in investments to fund projects from 2013-17 including a railway, port, museums, petrochemicals and other industries. GDP growth in Dubai is expected to quicken to over 5 per cent in 2015 from 4.7 per cent this year as it starts gearing up for hosting the Expo 2020 exhibition. “The star sectors driving growth will be transportation, trade, tourism and logistics,” said Mohamad Lahouel, chief economist at the Dubai Department of Economic Development. The Expo win could generate investments of $7 billion for expo-related projects including the development of a 438-hectare site near the Dubai World Central close to Jebel Ali Port. Achievements in industrialisation and logistics development are putting the UAE in a position of strength. Aviation-related industrial activities will pick up following the announcement that Strata of Abu Dhabi will produce vertical ribs parts for Boeing 777 and 787 aircraft. In another development, a new helicopter maintenance and spare parts company has been formed in a partnership between Abu Dhabi Aviation, the region’s specialised helicopter company, and Augusta Westland, the world-leading helicopter designing and manufacturing company. UAE-based Glass LLC, a subsidiary of Dubai Investments, is targeting 40 per cent growth in demand for glass during 2014, driven by the acceleration of construction and infrastructure projects within the country and across the region. Abdulazis bin Yagub Al Serkal, general manager of Dubai Investment, says Glass has achieved consistent growth in 2012 and 2013 in spite of recessionary trends across the globe. “But we expect a major uptrend in 2014, amidst the flurry of construction activity in the UAE and the region. We have some of the best glass products in the market and we expect demand to rise by over 40 per cent in 2014, more so as the pace has picked up since November after Dubai’s successful bid for Expo 2020,” he said. Ras Al Khaimah-based pharmaceuticals producer Julphar reported an increase in sales to Dh1.36 billion ($370 million), an increase of 15.4 per cent year on year. The company manufactures the raw material needed to make insulin and other medicines. Another Ras Al Khaimah company RAK Ceramics is walking tall on the world stage as the world’s largest manufacturer of ceramics products. The company reports exceptional performance in 2013, nearly achieving the annual profit of 2012 in the first nine months and expecting to end the 2013 financial year on a higher note. Abdulla Mahmood, general manager, marketing and corporate communications, said the increase reflected a sustainable business strategy of expansion into new markets and introduction of an innovative product range that opened new avenues for RAK Ceramics. “These have been further complemented with improved GCC market conditions and the construction and real estate sectors ramping up activity,” he said. The company generated a revenue of $900 million on an average over the last three years (2010 to 2012) and over 80 per cent of sales have come through exports. It exports to more than 160 countries worldwide and has overseas plants and operations in Bangladesh, India, China, Sudan and Iran. The region’s aluminium industry is awaiting the incorporation of Emirates Global Aluminium (EGA), a jointly held equal-ownership company whose formation was announced mid-2013 by shareholders Mubadala Development Company of Abu Dhabi and Investment Corporation of Dubai. Into the new entity Dubal Aluminium and Emirates Aluminium (Emal) will be incorporated as operating subsidiaries. The combined annual production of Dubal and Emal, which was 1.86 million tonnes in 2013, will account for 50 per cent of the total primary aluminium production within the GCC region and make EGA the largest primary aluminium producer in the Middle East. EGA’s production capacity is set to reach 2.4 million tonnes per year by mid-2014, making it the fifth largest aluminium producer in the world. 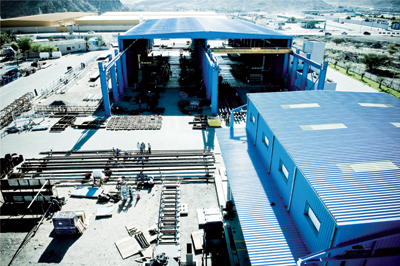 Despite sluggish demand levels across the global steel industry, excess steelmaking capacity in the world markets and continuing volatility in raw material costs, Emirates Steel, a Senaat portfolio company with facilities in Abu Dhabi, fared well in 2013 with its revenues hitting $1.8 billion, almost eight per cent higher than in 2012. 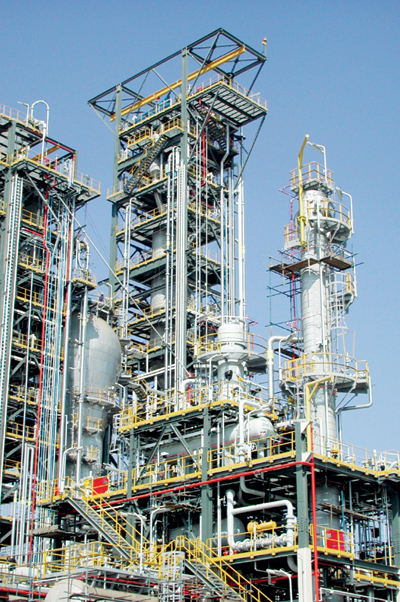 Production of long products in 2013 reached 2.6 million tonnes, an increase of 12 per cent over 2012; of which, 1.7 million tonnes were rebar, 316,000 tonnes structural steel and 573,000 tonnes wire rod. Encouraged by a buoyant project market in the region, the steelmaker sold 3.0 million tonnes of product in 2013, of which 1.9 million tonnes went to the domestic UAE market. The balance was exported to a diverse range of markets, including Europe, the Far East, the Americas and the Middle East. Dubai-based Mag Group has said it is investing up to Dh15 billion in Dubai and the rest of the UAE. “Now that the city has won the right to host Expo 2020 it has galvanised investment sentiment and I am sure we are not the only company feeling the current wave of overwhelming business optimism,” said Moafaq Al Gaddah, chairman of Mag Group. Its projects include a Dh2 billion development, located in the Meydan district, featuring 106 townhouses, and a residential community with 29 five-storey apartment buildings. It also expects to launch a Dh750 million residential project in Sharjah, a Dh700 million Art Centre in Barsha and a Dh865 million City of Arabia residential project. Mag’s plans will be good news for a host of UAE businesses including those dealing with cement, paints, aluminium and steel items and electricity products.